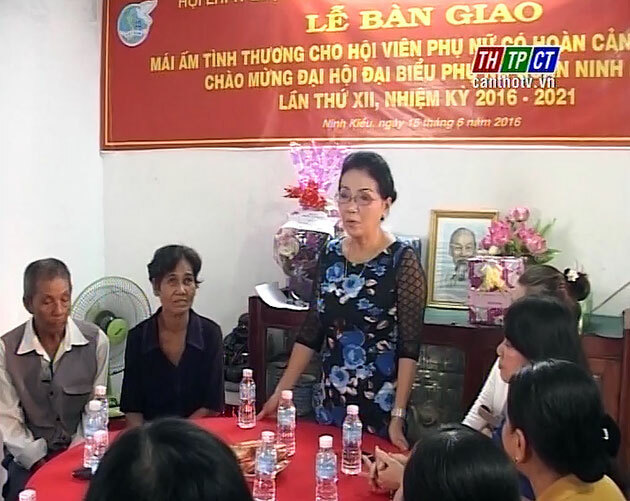 Ninh Kiều urban district’s women’s union has just handed over the affectionate house to needy Khmer member Lý Thị Tài, residing in area no.3, Xuân Khánh ward. The house covers 22 square meters, at the construction cost of nearly VND 50 million, of which VND 40 million is supported by Vũ Phúc trade – production limited liability company, the balance contributed by the family and locality. This is also the project in celebration of the 12th congress of Ninh Kiều urban district women’s union for 2016 – 2021 term.